Who's picking their first beans? Would be interesting to see, from South to North, whose crops are ready when. Last edited by Bob Perry on Wed Jun 13, 2012 12:57 pm, edited 1 time in total. Re: Who's picking their first beans? My first picking of green beans was last Thursday evening at 3.5 lbs. Then, Sunday morning a second picking of 5.5 lbs. I canned 16 pints Sunday afternoon. Last evening I picked 12.2 lbs. Expect to pick again by Thursday or Friday and put them up over the weekend. Should be two canners full (about 38 pints). Glad I planted the garden in early April instead of the traditional late April/early May. My sweet corn has finished tassling and the ears are coming on strong. Should have sweet corn in a week or so. Our Contender green beans have come and gone. We ate several messes and put put up 41 packages of snap beand and 9 packages of whole beans. Each package was 2 1/2 cups of beans. We always plant Improved Pinto Beans which is actually an heirloom variety. They are all gone now, but we put up 19 packages of snap pintos and 39 packages of shelled pintos. 37 qts. canned, with lots more eaten and given away. First picking was around Memorial day. 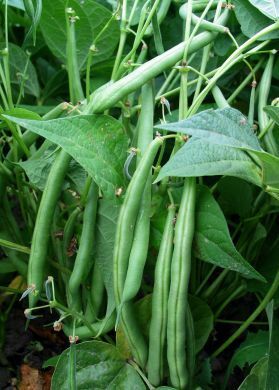 Rattle snake pole beans. Picked 20 lbs of bush-type green beans on over the weekend and put up 36 pints. With the 16 from last weekend, that makes 52 pints for winter. We don't eat beans at every meal, so that should hold us for a while. My Kentucky Wonder pole bean plants are about 6" high now,so maybe I 'll be the last to pick my first beans! How can you have too many Cubs???? CubitisNH wrote: My Kentucky Wonder pole bean plants are about 6" high now,so maybe I 'll be the last to pick my first beans! We have the same. It always seems so slow for them to get going. I have 3 80 rows planted and they are breaking ground,too. 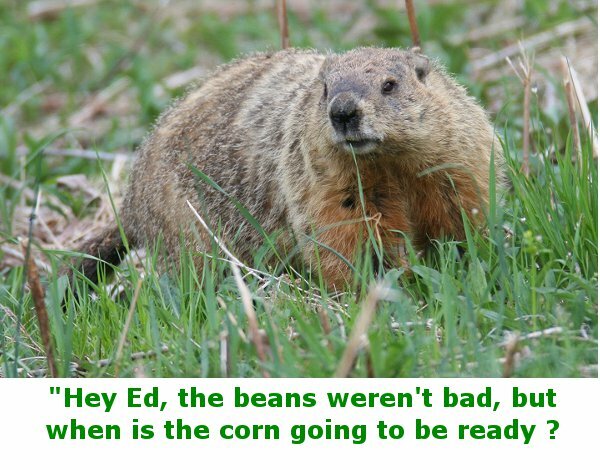 Can't you trap the woodchucks? I have a trap if you need one. Picked my first green beans of the season last evening. Got enough to split the first picking with my daughter. They are Blue lakes bush beans and they are very tender. Got a good idea what dinner will be today.